John Piper, Harbour Scene, Newhaven 1936-1937 © The Piper Estate / DACS 2017. Image courtesy: Private Collection. 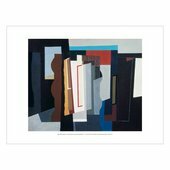 John Piper (1903–1992) is one of the most significant British artists of the twentieth-century. Renowned for his powerful and romantic paintings of his native landscape, he worked across an extraordinary range of disciplines (including designs for stained glass and theatre) influencing the cultural landscape of modern Britain. 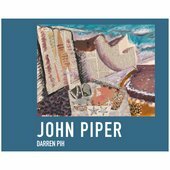 Piper’s inspiration was drawn from a love and profound knowledge of the British landscape, its buildings, monuments and their heritage. This exhibition illuminates the artist’s pivotal role in the development of abstract art in Britain, by placing his work alongside the likes of Alexander Calder and Pablo Picasso, among others. His coastal collages such as Beach with Starfish c.1933–4 harness the influence of cubism while capturing the atmosphere of the English coastline. Visitors can also expect to see early, native art forms including medieval stained glass windows and Anglo-Saxon and Romanesque stone carvings admired by Piper. Piper had a significant connection to the North West, and Liverpool in particular, designing the magnificent stained glass windows in Liverpool’s Metropolitan Cathedral.